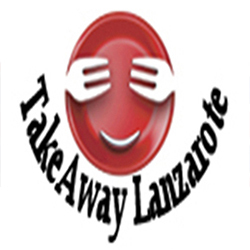 Cheese Chips Plaice in the Sun British Fish & Chips Takeaway Playa BlancaTakeaway Food Lanzarote.Delivery Available for Playa Blanca, Femes, YaizaFood Delivery Service - Lanzarote. Onion Rings - Plaice in the Sun British Fish & Chips Takeaway Playa BlancaTakeaway Food Lanzarote.Delivery Available for Playa Blanca, Femes, YaizaFood Delivery Service - Lanzarote. Bread & Butter (2 slices) - Plaice in the Sun British Fish & Chips Takeaway Playa BlancaTakeaway Food Lanzarote.Delivery Available for Playa Blanca, Femes, YaizaFood Delivery Service - Lanzarote. Extra Cheese - Extra Ingredient . Plaice in the Sun British Fish & Chips Takeaway Playa BlancaTakeaway Food Lanzarote.Delivery Available for Playa Blanca, Femes, YaizaFood Delivery Service - Lanzarote.